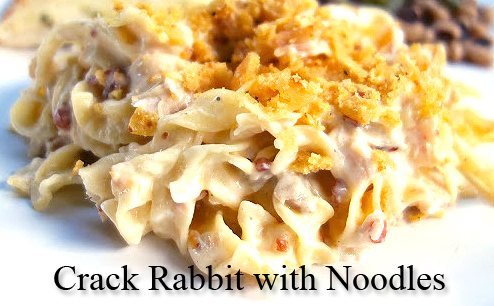 Crack Rabbit with noodles – yep cause this casserole is going to have you craving more!!! 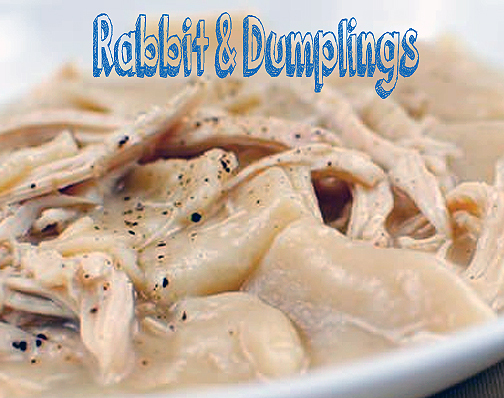 Combine rabbit, soup, sour cream, dressing mix, bacon and cheese. Stir in cooked egg noodles.